The skills are simple, easy to learn and easy to use. They are usable immediately. 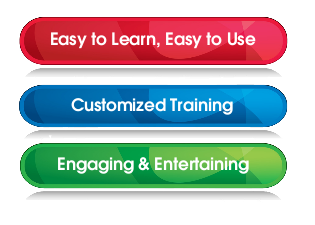 The training is customized to your industry and your daily selling scenarios. It gets 100% buy in. The training is engaging and entertaining. People learn more when they enjoy the experience. Salespeople are taught how to create “pillars of strength.” Pillars represent unique capabilities that provide a solution to very important prospect needs. Salespeople are taught how to develop “crowbar questions” that create additional needs in areas where you have a superior solution. A sales process is a list of steps and activities that should occur at each progressive interaction, with each buying influence, throughout the selling process. "Within two weeks of the training, the account managers reported extremely satisfied customers who actually see value in meeting us! This is a dramatic change from old perceptions where sales reps were wasting their precious time. Our sales for consumable products, which were in decline are now recovering and growing. I thank Al for helping me transform my team into professional sales reps."